If you’re trying to pick the right pair of headphones, the most important thing to ask yourself is where you plan on doing most of your listening. For listening to music alone in a quiet room, you may not care about portability, and you’re almost certainly going to want full sized over-ear headphones. 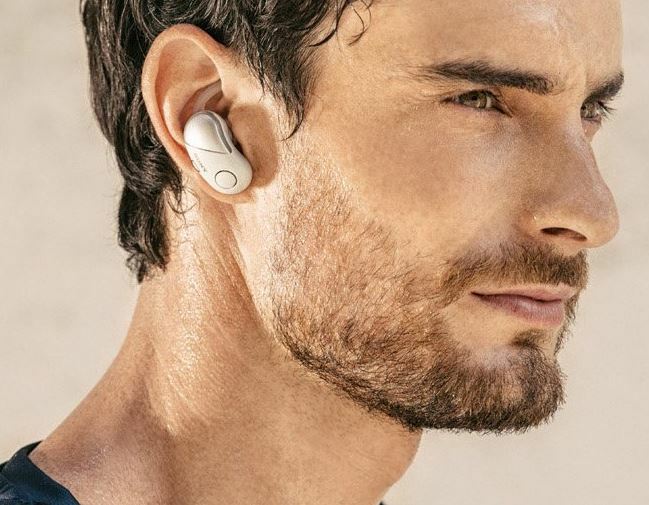 But for listening while doing sprints, exercising at the gym, or traveling down a busy street, then the obvious choice is wireless in-ear headphones. Small size is an essential part of portable earbuds, but portability comes at a cost. The tiny headphone drivers used by earbuds aren’t well suited to replicating deep bass frequencies. And a portable design ensures there’s no bulky headband where engineers could have stored a large battery, resulting in shorter charges. When you’re trying to choose in-ear headphones, looking at how your selection addresses those types of issues is critical to choosing wisely. 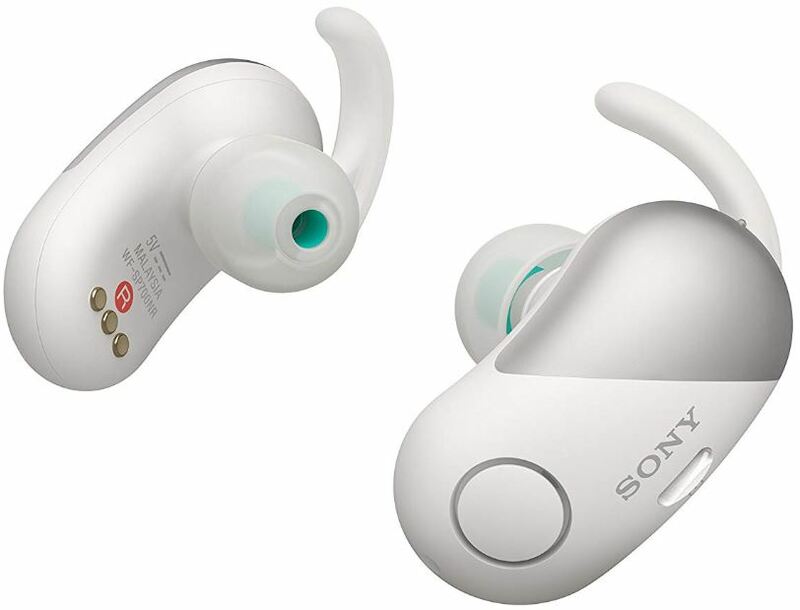 The WF-SP700N is the latest generation in Sony’s long line of WF headphones. 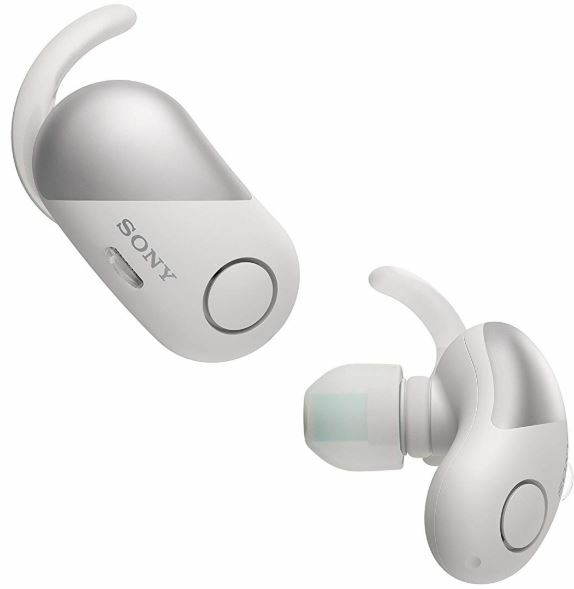 Compared to the WF-1000X, Sony’s previous in-ear generation, the SP700N series has only a handful of slight differences. But those slight improvements occur in numerous areas, creating a cumulative effect that makes the SP700N feel stronger in every way. It has a much longer battery life, the range of wireless connectivity has been extended, and it’s even largely waterproof. One of the first things you’ll notice about the WF-SP700N is their unique design. The WF line of earbuds were never particularly slim to begin with, but this latest generation has truly embraced their nature as bulky buds. The increased size doesn’t detract from their portability, and only adds a negligible amount of weight to the design. 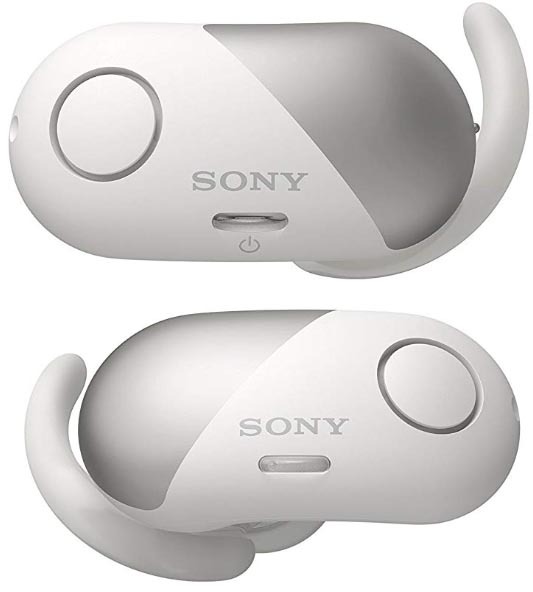 The larger design is also what allows Sony to improve the performance of the WFSP700N over previous iterations in the series. It’s directly responsible for the improvements in signal strength, and the advancements in battery duration. Even though they’re somewhat larger than ordinary earbuds, that extra bulk never gets in the way or feels burdensome. Each bud weighs roughly 0.25 ounces, which is enough that you probably won’t forget you’re wearing them, but they definitely don’t feel weighty. The only potential drawback to the size increase is aesthetic, some people may not like the aesthetic of larger buds. For those who don’t mind, Sony offers four color options for the WF-SP700N: yellow, silver, black, and gold. Finally, there’s the addition of waterproofing. IPX4 certification indicates the WF-SP700N is safe to splash from any direction. This light form of waterproofing is part of the athletic orientation of these headphones. It’s there to help ensure your headphones won’t die the moment you break out into a sweat, or decide to take a jog through some light rain. 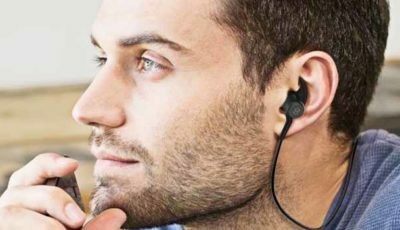 But the IPX4 certification won’t protect them from submersion or being placed under a skin faucet, so you should treat them like you would any other pair of headphones. In other words, don’t take them for a dip in the pool. What really makes the SP700N stand out is its active noise cancelling feature. Sony’s noise cancellation has three modes that you can switch between. One mode is designed to block out everything except what’s playing, one mode is made to permit most ambient noises, and one only allows ambient sounds related to safety, like sirens or vehicles. Compete cancellation is good if you’re not expecting anyone to talk to you, you’re trying to go to sleep, or you otherwise want to keep all sound out. The mid-level sound cancellation feature allows you to hear voices, making it useful for times when you need to stay in touch with your surroundings. And the third mode is essentially complete cancellation, except it will loud sounds designed to grab your attention. For in-ear headphones, comfort is mostly a question of finding the right fit. The WF-SP700N is built with a thin silicone fin that flexes to match the contours of your ear. This fin design makes the buds feel more securely fit in your ear, as well as feel smooth while you’re wearing them. And to help you find the right size for your unique needs, the Sp700N comes with two sets of silicone rubber connector tips in four separate sizes. About 80% of people have ear canals of the same size, and most earbuds are manufactured to that size. That’s why when it comes to people with slightly smaller or slightly larger ears, it’s common for earbuds to be uncomfortable. But the WF-SP700N’s variable size options mean virtually everyone should be able to find a comfortable fit. 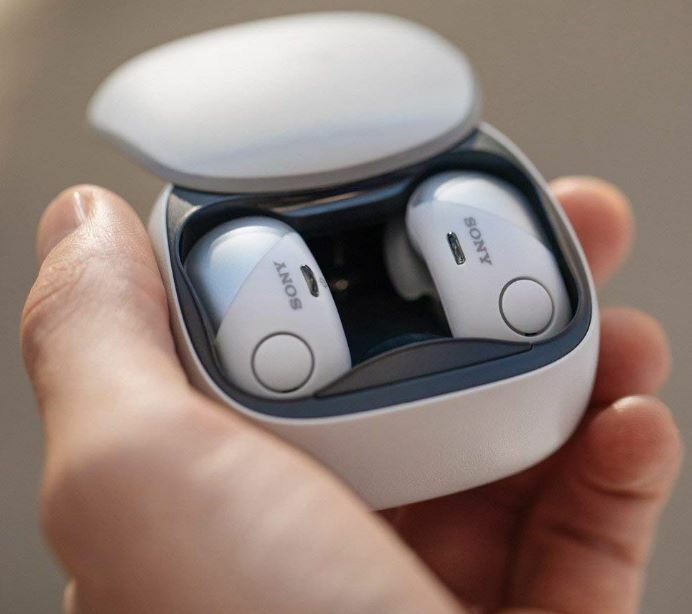 Even people who have never enjoyed in-ear headphones may find these comfortable, after having tried a few sizes of the connector tips. Sound can be broken into three rough categories, high tones, bass tones, and mid-tones. To grade the quality of sound equipment, you need to explore how well it manages to reproduce those frequencies. Relative to its price point, there’s no doubt that the WF-SP700N has exceptionally strong mid-tones. Although compact design doesn’t go hand-in-hand with the kind of sound engineering necessary to create bumping bass, the WF-SP700N keeps its bass frequencies strong through the use of software-based bass boost. Whether or not you like boosted bass is a matter of taste, but having it present makes the WF-SP700N more than competent for the frequencies which are usually weaker with in-ear headphones. Another significant impact on the character of sound is whether or not an open or closed design is used. Open designs allow for a more spacious sound, while closed designs produce more of a concentrated sound. Open designs are vulnerable to noise from their surroundings, and bleed a great deal of noise into their environment as they play. In other words, open designs are the way to go for quiet environments where noise aren’t an issue, and closed designs are better everywhere else. As the SP700N were built with athletics in mind, and have noise cancellation as a prominent feature, it should come as no surprise that they use a closed design. For all their modern headphone products, Sony has its own headphone connect app. Inside the app, you can micromanage the soundstage produced by the WF-SP700N. It’s here where you can toggle between the various noise cancellation features, and even optimize each profile to your own liking. This app is also where you’ll find the adaptive sound control board, which can help you find the right settings depending on the activity you’re doing while using your headphones. 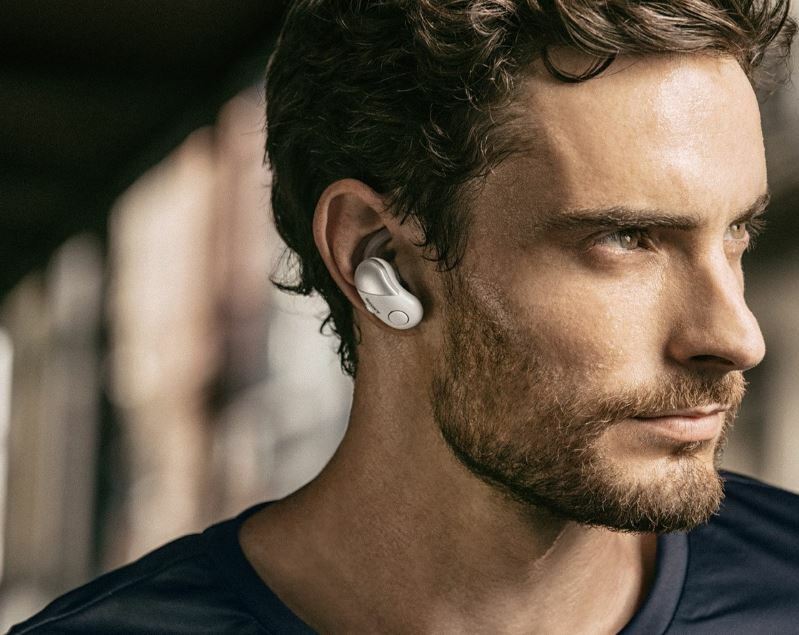 That’s useful because the kind of sound you want for running alongside the road is going to be different than the kind of sound you want inside a bustling or echo-filled gym. Sony’s headphone app has both Android and iOS support, and all features are available on both platforms. Active noise cancellation takes a toll on your battery. The WF-SP700N’s battery lifespan lasts for as little as three hours of continuous play, and only 8 hours of standby time when you’re not using the device. The relatively short battery life is another design decision that clearly was made in the interests of athletics. For taking a jog, working out at the gym, or enjoying some music on your break, three hours is probably enough for all but champion athletes. But if you’re looking for a pair of headphones you can take with you on a road trip, these probably aren’t what you’re looking for. To help off put the lower battery capacity, the WF-SP700N includes a USB charging case that holds as many as two extra charges. It takes about 90 minutes for them to charge, which is reasonably quick as long as you remember to charge them each day before you expect to use them. For spontaneous playing, they’re not a great choice because of the shorter standby time on the battery. But the charging case allows you to extend your listening out towards 9 hours, which helps mitigate that problem. Supported Bluetooth connectivity range is roughly 30 feet. If you’re at the gym, or taking a jog, you’re probably never more than 30 feet from your phone. Even if you’re at home, you’re probably rarely more than 30 feet from your favorite devices. But more than distance, what makes the Bluetooth support for WF-SP700N formidable is the strength of their connection. As long as you don’t go for a dip in a pool, you shouldn’t have to worry about a problem with connectivity. Who Should Choose the WF-SP700N? Sony’s WF-SP700N isn’t for everyone. It’s not the right choice to take on long flights or road trips. If you’re alone on your couch watching television, you can find headphones more apt to those circumstances. The WF-SP700N is for people who need their headphones to be wireless, and need them to have strong noise cancellation features. The impressive noise cancellation features are what make these headphones what they are, and they make up a reasonable portion of the price tag. If you don’t need noise cancellation features, you’ll be better served elsewhere. But if you need noise cancellation, you’ll have a hard time finding earbuds that come close to matching these. 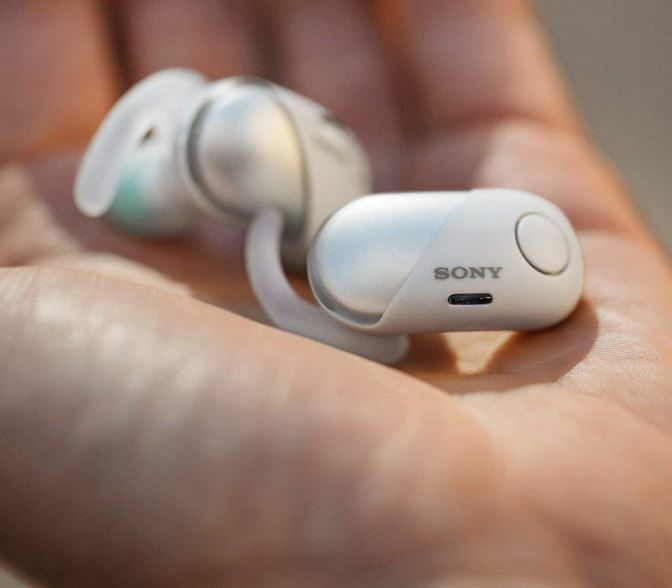 They’re bulkier than most wireless in-ear headphones, but they’re still small enough to fit in your pocket. 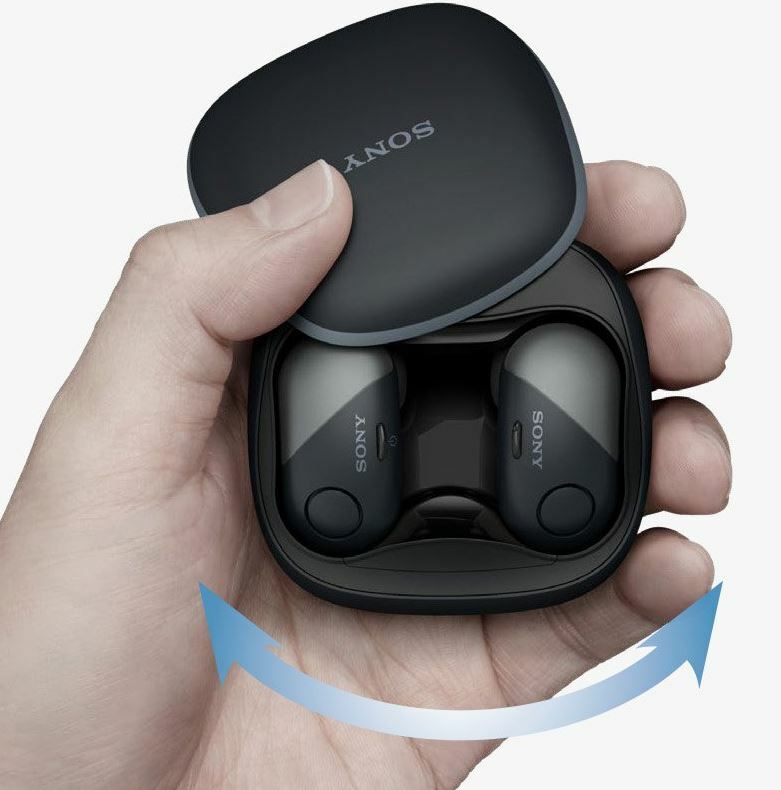 They’re also lightweight and comfortable enough that you would probably forget you’re wearing them, if it wasn’t for the noise cancellation features being there to remind you. 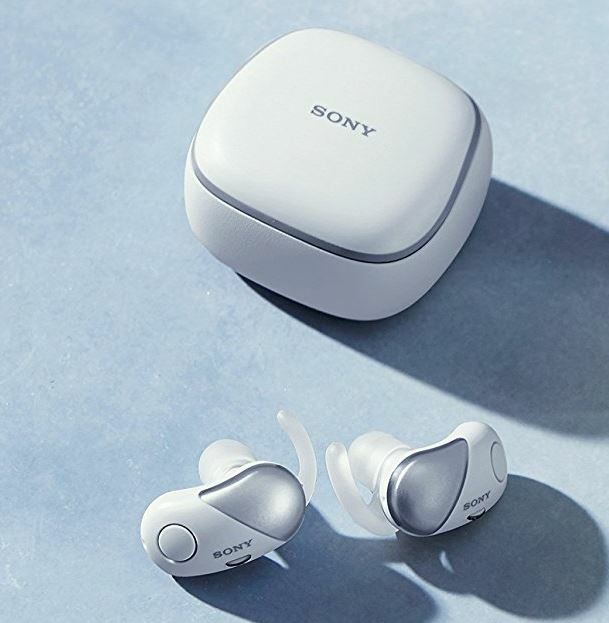 And the ability to toggle between noise cancellation modes and the wireless Bluetooth connectivity is everything you would expect of product from Sony. Many features of these headphones were transparently made for athletes. For example, the battery life isn’t particularly strong, but that’s necessary to ensure these headphones keep a lightweight design that doesn’t feel clunky on your head while you’re engaged in physical activity. If you’re jogging down a busy street, working out around a dozen people at the gym, then the WF-SP700N are an excellent choice for a pair of headphones.